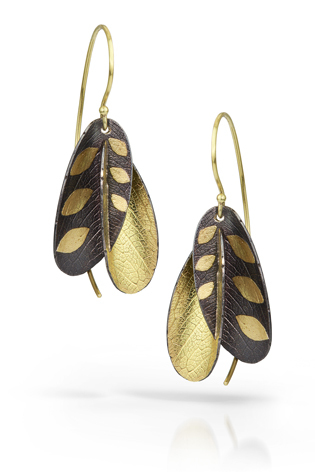 Christine Mackellar's core technique is fusing gold to sterling silver, which creates intricate surface pattern with subtle color variations. She textures the surface using hammers, engraving tools, and a rolling mill. 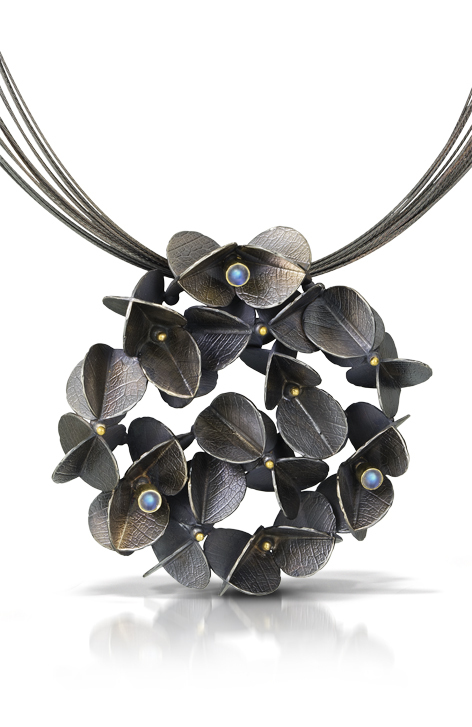 Gemstones and bimetal elements are used for contrast and punctuation, adding to the infinite possibilities of her jewelry.